What is a Career Framework? A career framework (sometimes called a career ladder) is a set of guidelines that clearly defines an employee’s title and expectations of their role. It allows them to see how they can move between roles and ensures the needs of the employee and company are being met. Why Did Uptake’s Data Science Team Need a Career Framework? 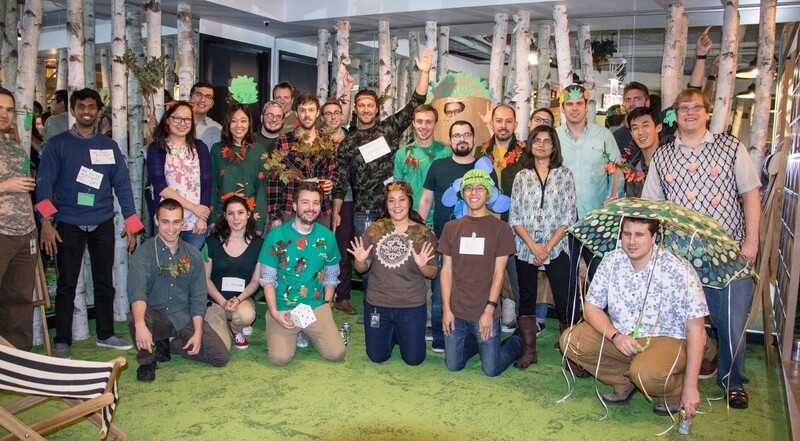 In about 4 years, Uptake’s Data Science department has grown from 5 people to over 65. As a result, there was a hodgepodge of titles, but most of the team was titled “Data Scientist” regardless of different levels of seniority, skill set, and experience. Although we did a reasonably good job of aligning compensation with value added, there was no visibility into titles and advancement. Everyone loves to call their loved ones and brag about their new promotion, but there is less visibility when someone gets an equivalent compensation bump without a title change. Further, internally to the team, we want to publicly recognize people’s accomplishments and career growth. These people can also serve as examples for others in the department to follow. We really strive to make our department as inclusive as possible. By developing a career framework, this allows us to add a large degree of objectivity to our career process. The framework allows us to explicitly state how people are measured and by implication, explicitly how they are not to be measured. To create our career ladder, we started by researching best practices. Fortunately, other companies have really done a great job with this and we took inspiration from other blog posts and publicly available materials (examples here, here, and here). We didn’t want this to be a top to a top-down exercise just driven by upper management or HR, but instead really wanted buy-in from all levels so that the end product would really reflect the day-to-day realities of the job. At the same time, we wanted some group to be accountable for producing a usable result. Prior to this initiative, we had established a Data Science People Manager working group, which is a forum we use to discuss management best practices and implement department-wide people management initiatives regularly. We decided that this was the right group to own the process since they were the ones that were going to be having career conversations with their direct reports. Next, we needed to address the titles that we were going to offer, which were going to be the rows of the framework. Ben Horowitz has written extensively about the benefits of loose titles versus very strict titles. Summarizing Horowitz, there are two schools of thought on the subject, the Andreesen approach and the Zukerberg approach. The Andreesen approach says titles are the cheapest thing you can offer someone, so give them whatever title they want and give yourself a leg up on the competition. The Zuckerberg approach says that titles should be strictly applied to promote fairness and ensure consistency in the organization. We definitely decided to take more of the Zukerberg approach to titles, in which we strictly define titles to boost fairness, internalize our leveling system and promote clarity within Uptake. To further promote clarity, our VP of Platform Brad Boven and I decided we should try to sync up and have equivalent titles across our two organizations as much as possible. For example, his team has Staff Software Engineer, we have Staff Data Scientist, etc. This creates consistency in the organization. Further, we purposefully chose titles we believe are largely consistent with how other companies view similar roles to promote clarity for people joining Uptake. Next, we assigned out the various columns to groups from our Data Science People Manager team to define. The group worked independently to populate what they felt were reasonable distinctions between the different levels in the department. We would periodically meet to ensure consistency across a given level and ensure we were sticking to consistent and mutually exclusive career factors. After a few weeks of iteration, we felt we had something that we thought was a good starting place. At this point, we had two options. Option one would be to roll out the new framework quickly and do a massive retitling exercise for everyone in the department. However, we decided to go with option 2; take our time with this and solicit feedback from the rest of the department. Only then would we do a big rollout. The teams were great about asking provocative questions and they really held us accountable for defining behaviors that could be measured and observed. We rolled out the framework 6 months before our next performance cycle. We wanted to roll it out far enough in advance to provide people plenty of time to understand how they would be held accountable on the next cycle. The first performance cycle with the new framework went pretty well. The team really felt that it improved transparency and gave them better insight into where they could go with their careers. We didn’t stop there though. After every performance cycle, our Data Science People Management Group has met to discuss what worked and what could be improved. We have continued to iterate on the career framework based on that feedback and are currently on version 4. Although we feel pretty good about where we are at, we recognize that our department may have blind spots and there is no shortage of good ideas in the world. Thus, we decided that we wanted to share our ladder externally and have posted below. We would love to know your thoughts! Please use the comments feature to tell us what you look and most importantly, what we could improve. There is no way that we have this 100% correct and we are dedicated to continuing to iterate on this based on both internal and external feedback.